It has been a while since I last did an update, but I wanted to do a little catch up and to let you know about the content I have planned for the future. I recently bought an Xbox One X and 4K TV, so I can finally fully appreciate the games graphics to the fullest. What was also great was that it came with the metro bundle, so I’ve been playing through and finished the first two games in the series. I actually quite enjoyed them considering they are not the types of games I usually like. I might do reviews for them in the near future. Briefly moving away from games for the moment, I want to talk about TV series’. I just spent the last couple of days binge watching The Chilling Adventures of Sabrina season 2 or part 2, whatever they want to call it, and it was amazing. It was even better than the first season, which is saying something. Honestly, if you haven’t yet seen it, I implore you to give it a watch, you wont be disappointed. Also, Game of Thrones returns next week, and I am both looking forward to watching it and scared to watch it, knowing that it will almost definitely break my heart in the process. I’m still routing for my the ‘Mother of Dragons’ even though she is a likely candidate to die, I just hope her story arc is given a satisfying conclusion. Back to gaming and my blog, I want to discuss my ideas for the future content I write. I don’t have the time to write full length reviews for every game or DLC that I want to write one for. Therefore, I am planning to introduce rapid-fire reviews as a compromise, so that you can still here about my thoughts and analysis of games coming out or have already been out for a while. I will still leave more current, recent release games to full reviews such as Metro Exodus when I get round to plying it, however, I might do rapid-fire reviews for the first 2 games. I am actually in the process of writing reviews for the Assassins Creed Origins DLC, which will be up next week, likely Wednesday, so I’ll try the format out and would love to here your thoughts on it. Thanks for taking the time to read this, and let me know in the comments about what’s been happening in your gaming life down below. Also, if you have any questions or ideas for content, I’d also love to hear them. 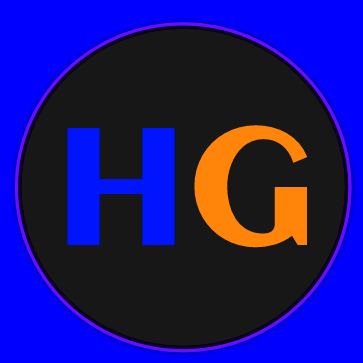 For all things gaming, stay tuned to Honest Gamer.